When it comes time to clear your head or clean your house, sometimes you just need a little inspiration. 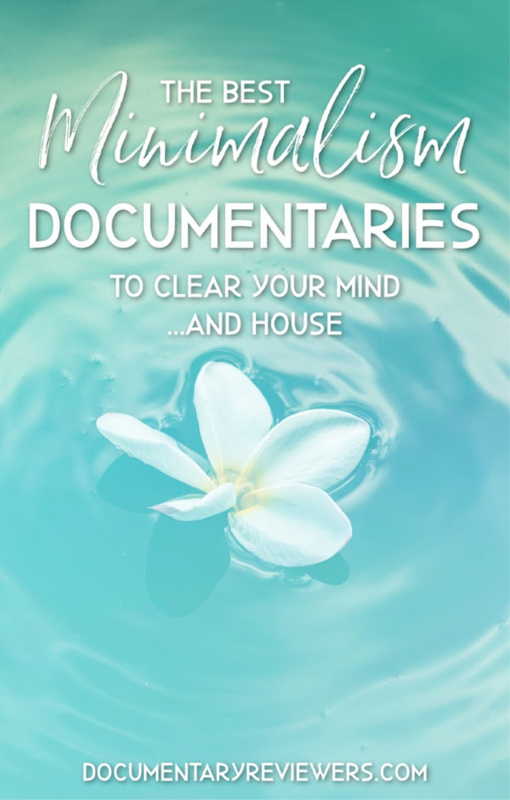 And that’s exactly what the best minimalism documentaries are – inspiration to change your life! It will only take one watching of these minimalism documentaries before you’re blowing through your house decluttering or working on your next project to make yourself feel better. They’re that powerful. The best part is that all of these documentaries about minimalism have a slightly different focus and will thus impact your life a little differently. Some will help you purge your closet, others will make you realize that material possessions really aren’t as amazing as we think they are, and others will help achieve your dream of living a simpler life. But all of them will make you look at life a little differently, and hopefully in a better way. 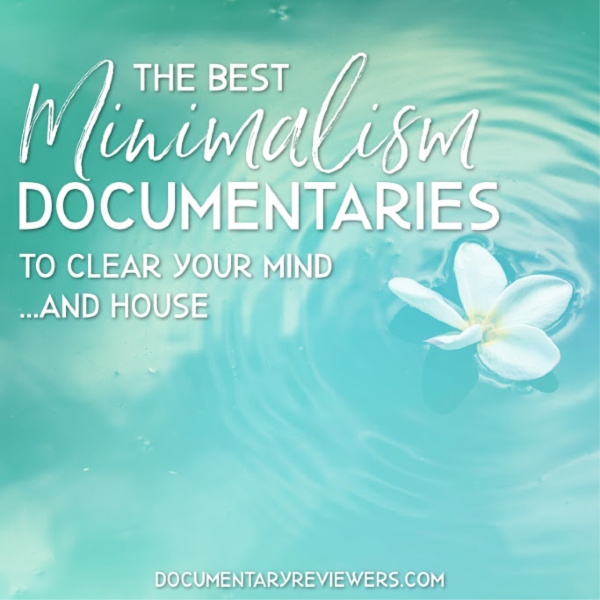 Time to get cozy because you’re going to love each of these minimalism documentaries! The True Cost is one of the most powerful documentaries about minimalism, and not just because our lives are happier with less…but because our greed has grave implications for other parts of the world that are forced to support our need for more. The True Cost focuses on clothes – what it takes to make them, why they all of a sudden are dirt cheap, and what happens when you “donate” unwanted garments. I guarantee you will be shocked about each and every aspect of the “fast fashion” industry and you will without a doubt change the way you shop and dress. This is definitely one of the best minimalism documentaries on Netflix and one that you’ll be thinking about long after you’ve finished watching. Definitely add it to your queue! It doesn’t get more straightforward than this one. Minimalism: A Documentary About the Important Things is about exactly what you think – minimalism! “The Minimalists”, Joshua Fields Millburn and Ryan Nicodemus, take you on their journey as they leave high-flying corporate jobs and embrace a minimalist lifestyle. You get first-hand accounts of how liberating it can be to let go of “things” and what exactly it means to do so. If you’re truly interested in minimalism, then this is an absolute must-watch. It’s definitely one of the best minimalism documentaries available. Tiny is a really amazing and inspirational simple living documentary that focuses on one of the newest minimalism rages: tiny homes. And to be clear, we’re talking TINY. To live in these homes, you need to embrace minimalism in extreme ways. But the effects are breathtaking. These tiny homes are beautiful, open, clean, and relaxing. They’re the kind of homes YOU would want to live in. This documentary will give you a hopeful perspective on minimalism and definitely help rid your life of a lot of the things you just don’t need. Have you ever thought about how odd it is that we consume bottled water in such large quantities, but always in disposable bottles? Well after watching Tapped, you’ll certainly be thinking about it. Tapped reveals the scandalous secrets of the bottled water industry, from what they do to source their water to how they sell it and what happens to all the bottles afterwards. This minimalism documentary has a very specific focus (water), but it will still profoundly change the way you go through your everyday life. One of the foundations of minimalism is the belief that with less, you’ll be happier. Happy is a great minimalist documentary on Netflix that will definitely make you think differently about your life and your priorities…and hopefully leave you with some exciting inspiration to make your own life a little happier. So much of the world lives on one dollar a day, but what does that really mean? In Living on One Dollar, a group of young men set out to do just that. They move to an impoverished area and try their best to live like the locals do. There’s no question that this minimalist documentary will make you think long and hard about what is actually important…and how much we take for granted. But a common theme that shows up in all of these minimalism documentaries is this: money buys a lot of things, but it doesn’t buy happiness. I Am is a truly mind-blowing documentary that you may have to watch more than once to truly appreciate…it’s that deep. Basically, it sets out to prove that the whole world is interconnected, that we feel each other’s pain, and that to truly be happy, we need everyone to be happy. What is so astonishing about I Am is that they have science backing a lot of their stances, which really makes you think long and hard about their theories. This a one-of-a-kind documentary that everyone should watch at some point, so definitely add it to your queue! If you’ve got a soft spot for documentaries about simple living, then A Simpler Way: Crisis as Opportunity is the minimalism documentary you’ve been waiting for. Set in Australia, this simple living documentary follows a group of people that are committed to living off the land – sustainability. Their homes are built from recycled materials, they grow the food they eat, and they use renewable sources of energy. There’s a lot of sacrifice involved and it definitely isn’t as easy as they expected, but this documentary contains a ton of fascinating footage showing what it takes to live in a community focused on simple living. All of these documentaries about minimalism have the ability to completely change your life. If nothing else, they will at least inspire you to rethink your priorities and maybe consume a little less. But there’s no question, they are all important to watch and all are great documentaries!